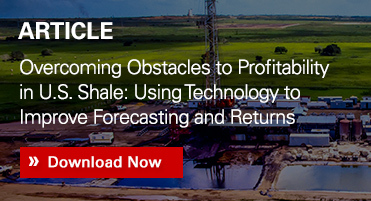 Keep your focus on shareholder return by managing the value of your oil and gas investments as technical, operational, and economic factors continually change. How? It starts with asking the right questions in your asset teams. What production targets are current assets capable of meeting? What resources must be spent in order for these targets to be met? How frequently is your business unit’s portfolio plan updated? What information about your assets informs the portfolio plan? How quickly are you able to respond if changes are made to the plan? How much is a particular potential asset worth to the portfolio? Too often companies either don’t ask these important questions or don’t examine the answers together. They wind up setting goals that assets teams and the company overall cannot meet or control. When expectations are set with incomplete information and never recalibrated, economic risk increases and shareholder value frequently winds up destroyed. Landmark and Palantir Solutions, the expert in asset- and corporate-level scenario planning software, are enabling more attentive and complete management of petroleum investments—from acquisition to divestiture or abandonment. Evaluate prospective assets more quickly with increased accuracy. Contact a Landmark representative to try FieldPlan®integrated with PalantirCash. Respond faster to constantly changing market and technical dynamics. 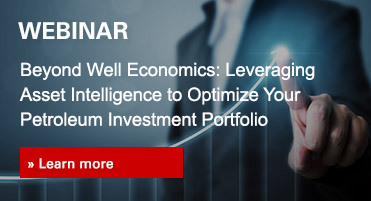 Plan and re-plan the management of your portfolio of assets using up-to-date insights. Contact a Landmark representative to try ARIES™ integrated with Palantir PLAN via the DecisionSpace® Platform. Reduce the time and resources it takes to update, reconcile, and report reserves. Manage a secure audit trail. Contact a Landmark representative to try ARIES™ integrated with Palantir RESERVES via the DecisionSpace® Platform.